Vinyl records have been around since 1948, when Columbia Records first introduced them. The large, thin, grooved discs were based on gramophone records from the late 1880’s. Vinyl records provide high fidelity audio when a special needle is run along the grooves. The needle then sends a vibration that the player decodes into sweet, sweet music. Vinyl records are very easy to break, and must be treated with the utmost care. The needle can scratch the disc, which creates skips. If the scratch is deep enough, the skip would become a never-ending repeat of one rotation. Dust and dirt can cause unwanted crackles and pops on players with sensitive needles. And if stored improperly, those poor discs can easily warp, which causes pitch changes during playback. Although vinyl is making a comeback, good players are difficult to find without a large price tag attached. Record collections take up a lot of space, and the garage isn’t going to keep them safe. 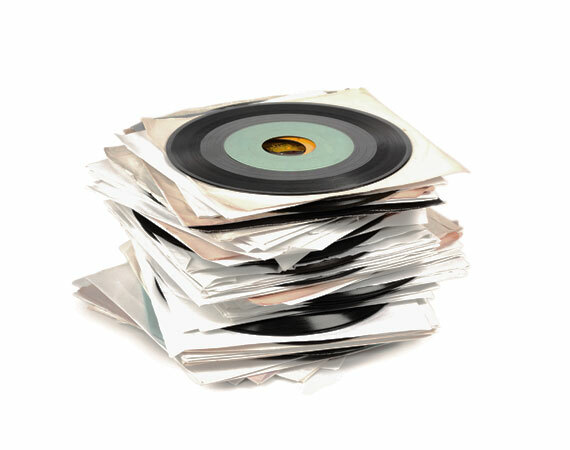 Los Angeles Video Transfer Service understands the important history of vinyl records. We dust and clean every record before transferring. We use professional grade audio equipment combined with diamond-tipped needles to convert the record in the highest quality possible.